The West may oppose Assad’s regime, but on the streets of the capital the people fear a greater evil. Several of its suburbs are held by rebel fighters, who pound government-held areas with mortars. most people live under the shadow of constant attack. Many of the shells land harmlessly, or do not explode. Others cause mayhem. On Tuesday, one struck a school in Bab Touma (St Thomas’s Gate), killing one child and wounding roughly 40. And over the past few days the volume of the bombardment has escalated sharply. Over the past few days, I have talked to shopkeepers, students, soldiers, doctors, a dentist, MPs and government ministers (including the minister for tourism, who must have the most thankless job in the world). On the basis of these conversations, I would judge not just that support for the regime is holding up, but that President Assad could very well win a popular election, even if carried out on a free and fair basis. I found – to my surprise – that even people outside the governing Ba’ath party, including some of Assad’s political opponents, said they would support him. Only a handful of members of Assad’s 30-strong cabinet (I was told two) are Alawite. The prime minister is Sunni, as are the interior minister, the justice minister, the foreign minister, even the defence minister. The delegation that travelled to Geneva for the failed peace talks several months ago was also almost entirely composed of Sunni Muslims (though they would probably reject sectarian terms, and prefer to think of themselves just as Syrians). I do think the words of my shopkeeper friend are worth pondering. If the insurgents who killed his mother win the war, there will be no Christian churches in Syria any more (just as there aren’t in Saudi Arabia at the moment). Life will be similarly terrible for many of the ordinary Muslims who make up the great majority of the population. 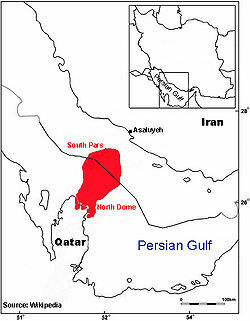 France enjoys a privileged partnership with one of Iran’s main competitors, namely Qatar. Under Nicolas Sarkozy’s presidency, Emir Hamad Ben Khalifa al-Thani was the first Arab State leader to be received at the Elysées Palace in 2007. It is now François Hollande who continues this special relationship. Since his election, Qatar is the country which was received the most at the Elysées with a visit of the Emir on August 22 and two more discreet visits of Prime Minister Hamad bin Jasem al-Thani. This economic power invests billions in real estate, in the capital of CAC 40 companies (such as Total, Vivendi, Veolia, Lagardère, Suez, LVMH or even Bouygues and Vinci for the different sites of the world to the Qatar 2022 and also the construction of the Friendship Bridge between Qatar and Bahrain), sport (with the purchase of the Parisian club PSG — soccer and handball), the media (Al Jazeera acquired French Champions League rights) and most recently in projects in the Parisian suburbs. With the European economic crisis, Qatar’s partnership with France gives the small Emirate the ability to sway the French decision-making, something Qatar denies. Same investments in Germany where Qatar holds 17 percent of the capital of Volkswagen, 10 percent of Porsche, 9 percent of the Hochtief construction giant or even more recently 3 percent of Siemens. The Qatari investments are also important in Great Britain. With 20 percent of the shares of the London Stock Exchange, Qatar is the main shareholder of Barclays. The Emirate has also invested massively in the Olympic Games, it has financed 95 percent of the highest building in London (the Shard) and British homes are supplied by up to 59.3 percent by Qatar’s Liquefied Natural Gas (LNG). As a result, Qatar advances its long-term interest by investing and signing important contracts with the European governments in crisis. Therefore, Qatar — the first Arab country to propose Arab military intervention — has more leverage to increase pressure against Damascus and through the U.N. Security Council (leverage Qatar also has in the Arab world through al Jazeera).